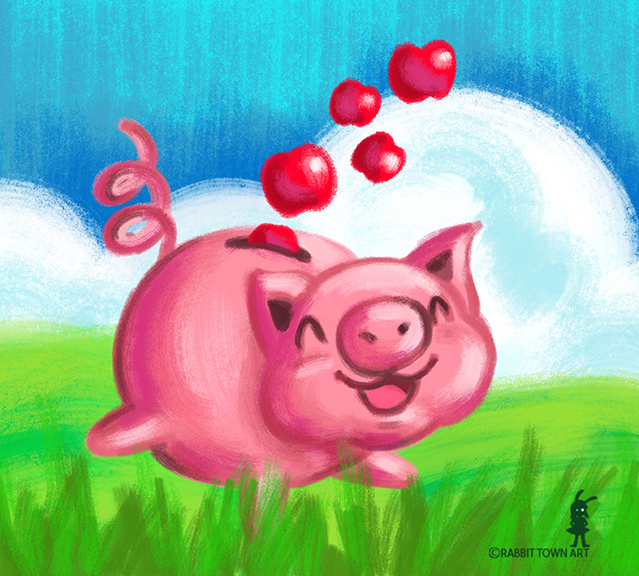 Happy Piggy Bank with apples! Happy Monday to everyone! This is for the current game for Kookyrabbit. Busy day today but lots of approvals, got a lot done and picked up another job, Busy, busy, busy! I have a lot to do tonight too! I want to get more book pages done and I have to start an animation job tomorrow. Been doing stuff while watching Kuroko no Basketball.